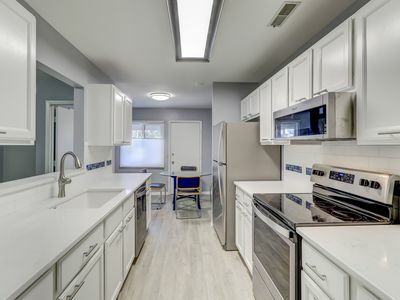 PLEASE CONTACT ME WITH ANY QUESTIONS - THANKS! 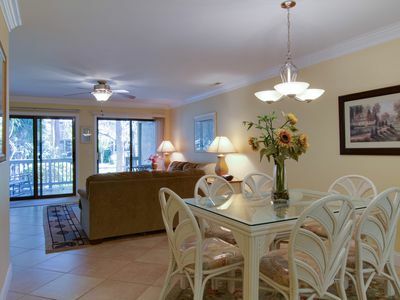 Unwind on your private patio with a chilled beverage at this single story 2BR/2BA villa. 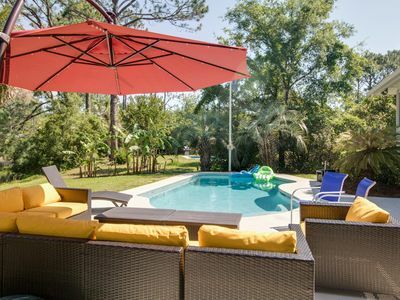 Your Shorewood Villa includes access to a year-round heated outdoor pool as well as a private boardwalk that leads to the sandy beach. 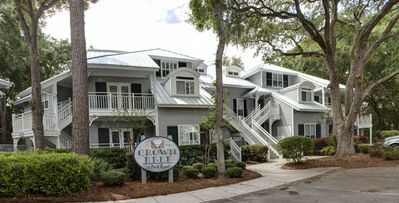 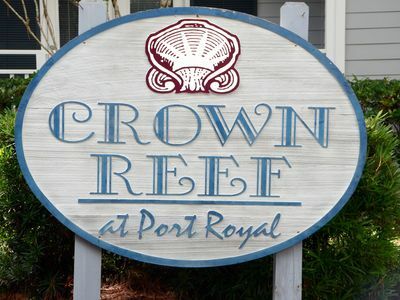 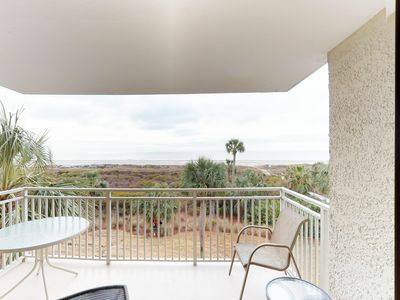 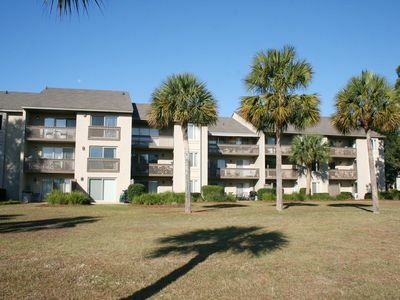 Enjoy this awesome South Forest Beach location within walking distance to local restaurants and shops – a very short walk to Coligny Plaza. 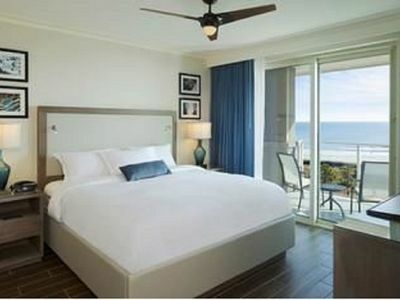 The Master Bedroom offers a King bed, Flat Screen TV and Private Bath. 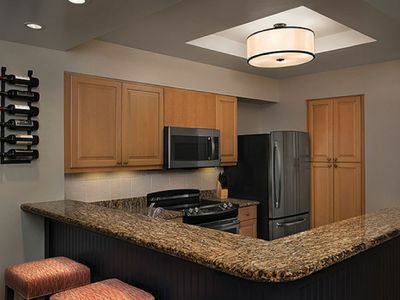 The second bedroom features 2 Twin beds, Flat Screen TV Attached Bath. 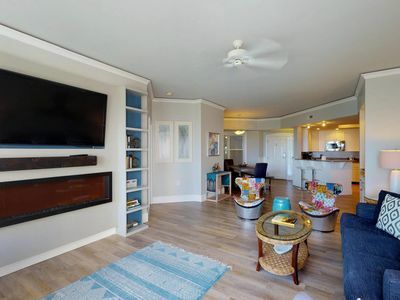 The Living Room provides a great view of Sunrise over the Ocean, a New 58” 4K TV, sofa sleeper with queen bed and a Patio for your morning coffee and evening refreshments. 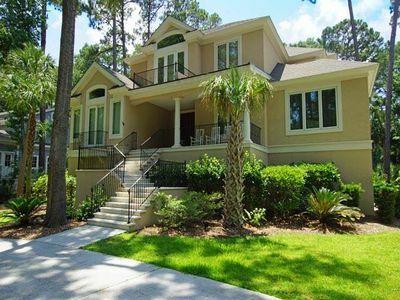 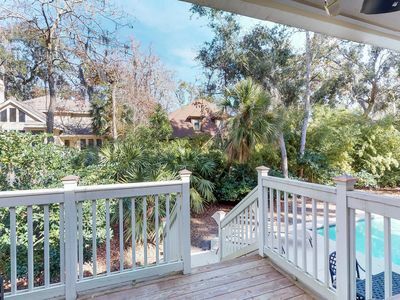 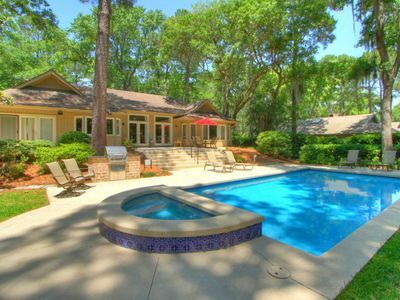 This comfortable villa offers an easy walk to Coligny Plaza & over 60 shops & restaurants. 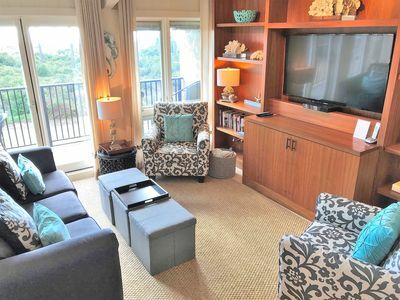 Expanded HD Cable & WiFi. 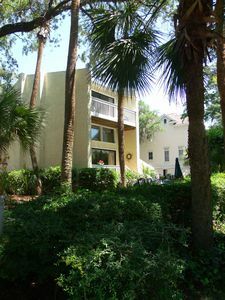 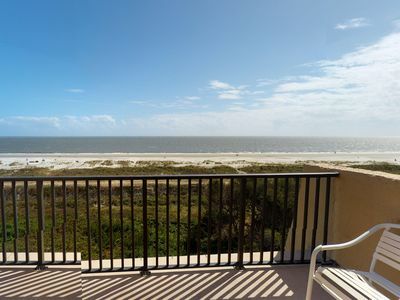 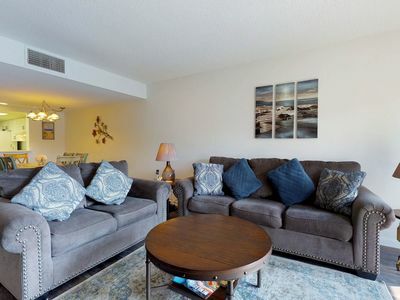 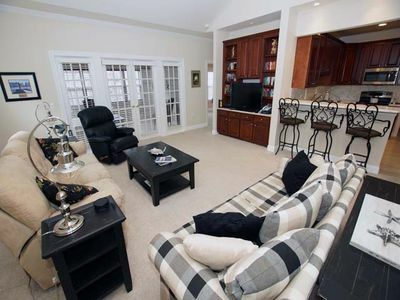 Cozy condo w/ lagoon views, shared hot tub, pool & more - walk to the beach! 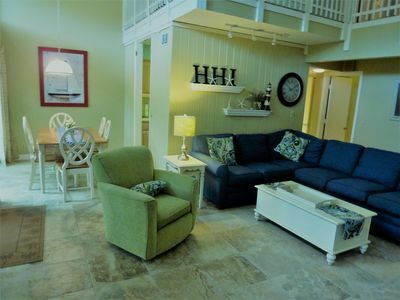 Oceanfront villa, shared pool, hot tub, and easy walk to the ocean! 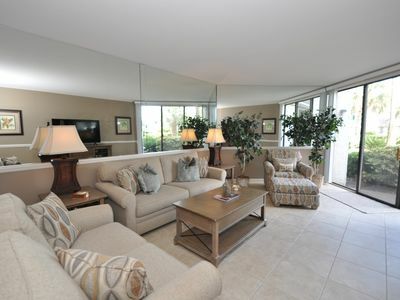 Oceanfront villa w/ shared pool, hot tub, ocean views & more - beach nearby!